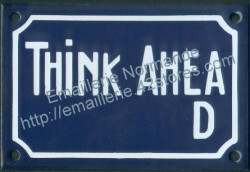 We are doing some changes on paypal system. 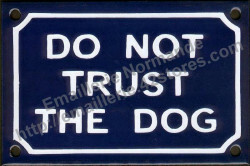 it is to permit custemers in the USA to use the paypal system to pay correctly their orders. 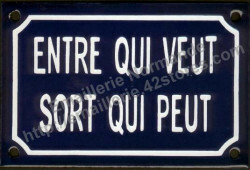 your payment will work correctly if you select your country and your state once you are in the basket. it will work correctly with this new system ! 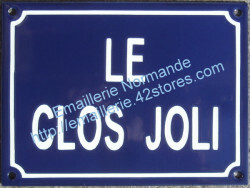 Five years ago we opened this web site dedicated to French enamel signs. 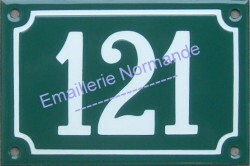 In this English version you will find all our typical French enamel signs, house number plates and custumised enamel street signs. 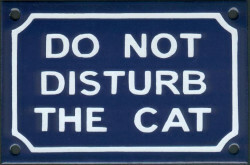 All specifically made to order. 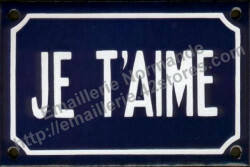 These typical French blue enamel signs will give your home a special French touch ! 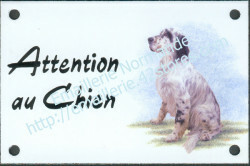 Since the begining of 2015 we have changed the design of the web site and hope that you wil be able to make your order easily. 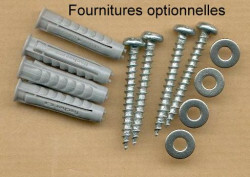 Our product pages and options are continually improving to make you more confident about choosing our products. 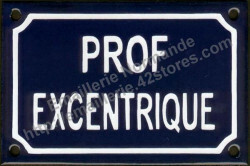 Have a nice time visiting our web site ! 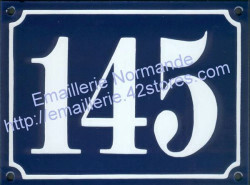 Idea for a Christmas gift: a traditional French enamel house number sign ! 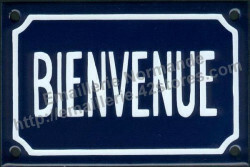 You visited France and enjoyed it ! 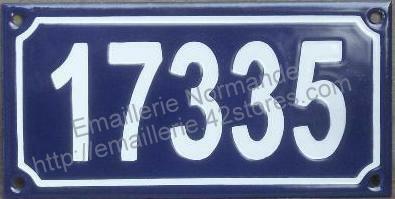 but you were unable to found your very French house number plate ! 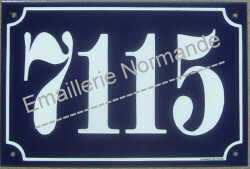 Why don't you order as an unusual Christmas present a typical French house number sign or traditional French house number ? 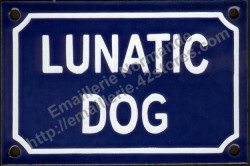 We also make lots of funny signs for dogs or cats... custumised house name signs or French street signs. 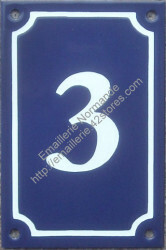 Our factory produces genuine French enamel house number signs ! 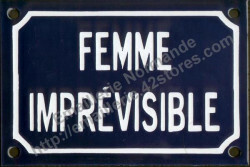 Come and visit our web site, in English or in French. 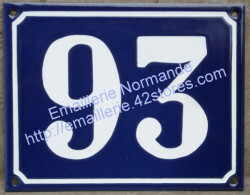 You can order your genuine enamelled steel number plate directly. 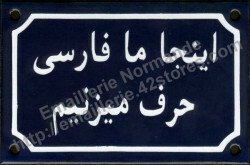 We make it to order and post it to you as you wish. 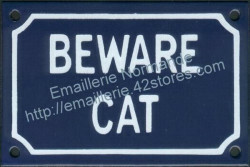 Normal or registered mail. 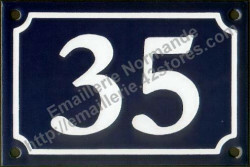 If you have a special number : 254A, 12-14, 4567, 5bis... Order it too ! 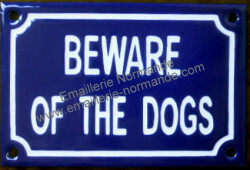 Choose it traditional dark blue or ask for a green or a black background. 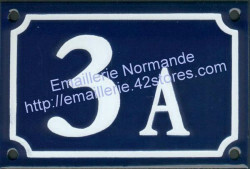 emaillerie.42stores.com changed for www.emaillerie-normande.com ! 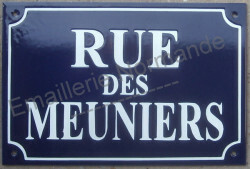 The older address still gives acces to our website in French. 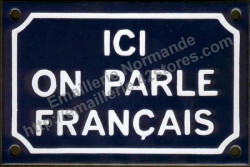 This French website provides more items than the English version and accept payment with credit cards (bank system). 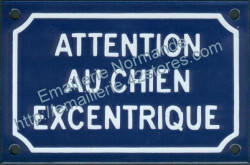 Even you want to recieve your items abroad, our French web site is dedicated to sending parcels all around the world ! 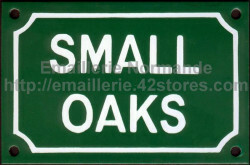 We made changes in the order's form, adding your Province name or State name. Follow Paypal's advice as this will improve the payment and reduce the number of errors at the end of your order. 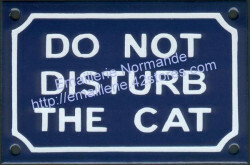 Please let us know if you still can't finish your payment at the end of your order. 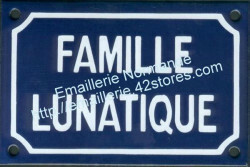 Looking for a French product (enamel sign, enamelware...) to be sent outside France ? 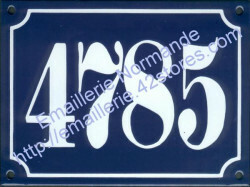 You are looking for a French enamel product like a house number sign, house name or an enamel made to order sign. 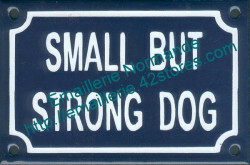 Our company can offer you enamel signs or enamel kitchenware and send it to you by post wherever you are ! Here is the listing of the countries where we send our products, if you do not find yours, please contact us ! 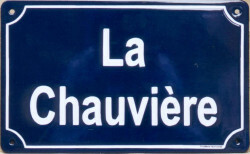 This spring (2012), the writter Barbara Merle and the photographer Greg Wait published in the local Magazine "Le Calvados" (N°107) an article about our company the 'émaillerie Normande'. 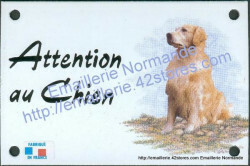 Then, on page 23, you will discover the Emaillerie Normande's presentation. 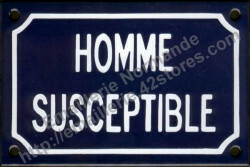 Here is the oportunity to custumize your own French street sign ! 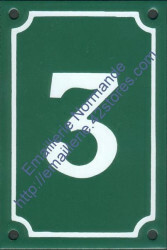 You can choose the traditional dark blue, if your environment is green, we can make green enamel sign or black if you prefer this colour. 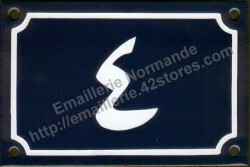 In order to have nice lettering, the number of letters is restricted, for this reason it is better to contact us. 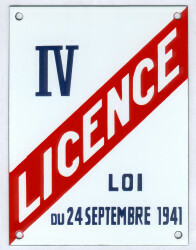 We'll be pleased to help you ! 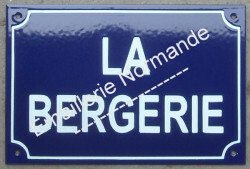 The Emaillerie Normande welcomes you in its online enamel workshop ! 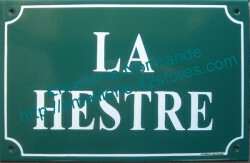 Following your holiday in France, you are looking for a special souvenir you will not find elsewhere ! 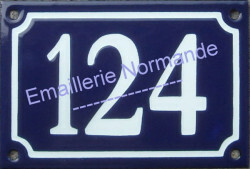 We produce in Normandy (France) typical traditional enamel signs, come and discover all our enamel plates online ! 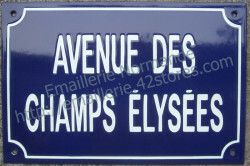 We also custumise enamel signs for house names in the traditional blue and white street sign. 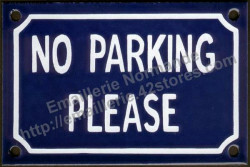 Contact us if you look for something specific.